It’s time we wrote about coffee in Dallas. It’s time we celebrated just how far we’ve come in the last 10 years. As the face of coffee has shifted, becoming a sophisticated thing produced and consumed with fanatical devotion, we’ve seen temples of design arrive, outfitted with custom machines. Simply put, it’s time we admitted we’re a city of coffee fanatics, aficionados, nerds. Some of these are our own craft roasters, whose numbers we can now count on both hands. They’ve gone to the source, tromped the globe, and cupped the fresh berries in their hands. They’re adamant about origins. They adjust roasts to bring out flavors both bold and delicate. They want to celebrate the beauty of the bean. They’re as fervent about this as our baristas are about steaming temperatures, brewing methods, and the way barometric pressure and temperature shifts affect the nature of a pulled shot. Coffee is nothing more than a caffeine jolt, you say? Yeah, right. These people want you to know the story, the sourcing, roasting, brewing—and have an experience. They have a relationship with the coffee. Sometimes, we feel like we’re intruding. But we’re glad to scatter croissant crumbs over the table while sipping a latte with its perfect amount of foam. We’ve learned to love the nuances of the single-origin, small batch-roast from Guatemala’s Antigua Valley as a cortado—you know what, on second thought, make that a straight espresso shot, to better taste those lemon and spice notes in the bean. It’s one of many variations you’ll find around town these days. It’s 2018. Here’s the who, what, where, how, why of Dallas coffee now. 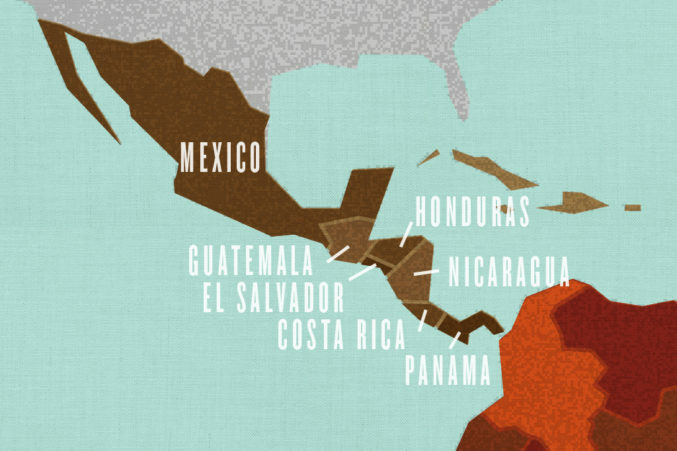 Terroir is the particular gift of each coffee region. Here’s a guide to help you savor the nuances and subtleties. For the well-caffeinated, each coffee’s profile is like a pin in a map. Bright and clean, these mellow, light-to-medium-bodied coffees are sometimes softly nutty and tend to be well balanced. They make an excellent starting point for anyone interested in exploring craft coffee. They can have intriguing notes of fruit, honey, or vanilla balanced against a clean, tart finish. 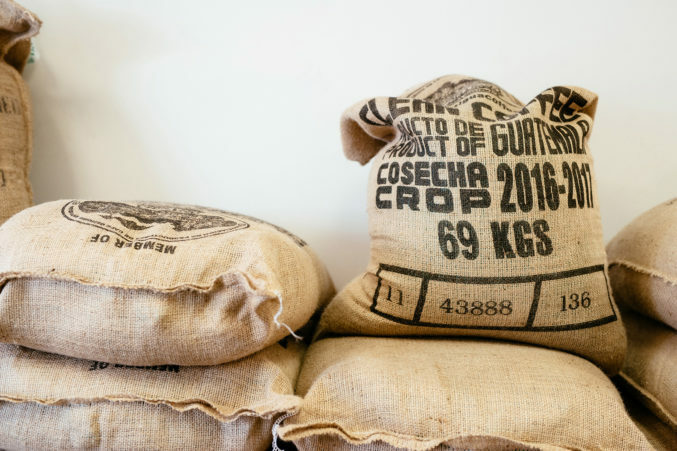 Where to find them: In DFW, Cultivar tends to favor Central American beans almost exclusively, and also offers an “elevation seasonal blend” that features a marriage from this high-elevation coffee-growing region. Classic, bold, smooth, and balanced, these nutty coffees carry notes of caramel and chocolate as well as a characteristic natural sweetness. 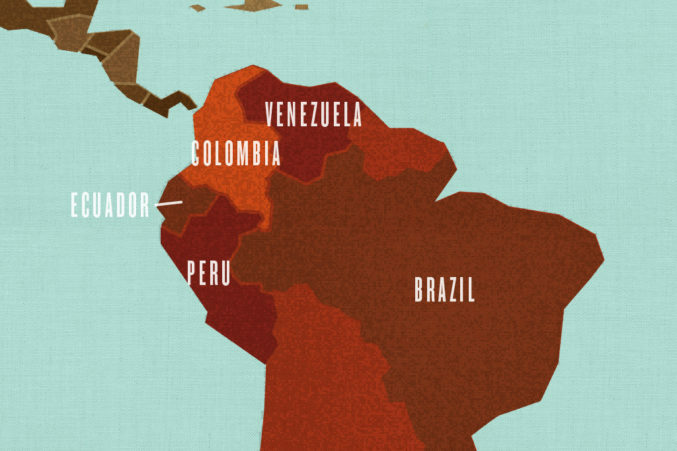 Where to find them: Fewer of our local roasters currently favor South American, but Full City Rooster and Noble Coyote have excellent Peruvians. This coffee has tremendous biodiversity, yielding big, bold-bodied, brightness with a juicy acidity and floral notes like jasmine or lemongrass. Notes of citrus or berries are also common. 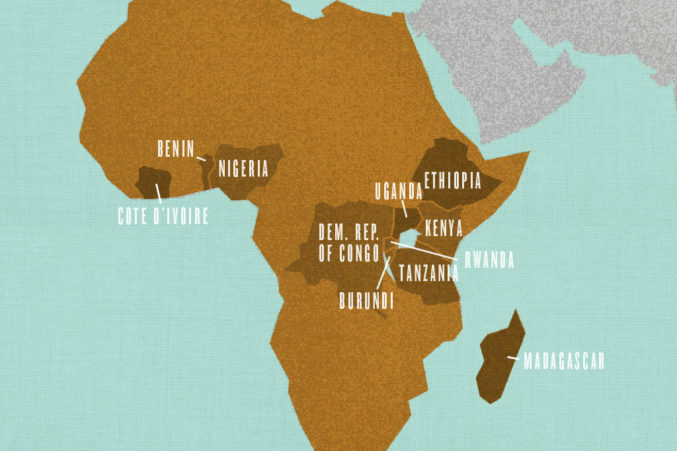 Where to find them: Ethiopian coffees are a mainstay at shops all over town. Eiland and Ascension also offer coffees from Kenya and Rwanda. A tropical climate and volcanic soil leads to some of the wildest and most challenging coffees, with unusual depth and complexity. Sometimes spicy or smoky, they can be earthy, meaty, and mushroom-y, often with a long, smooth finish. 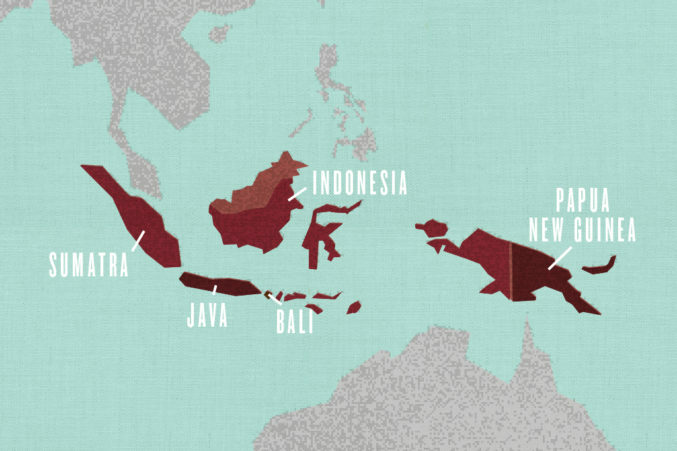 Where to find them: Noble Coyote enjoys playing with feisty coffees from Bali and Sumatra. 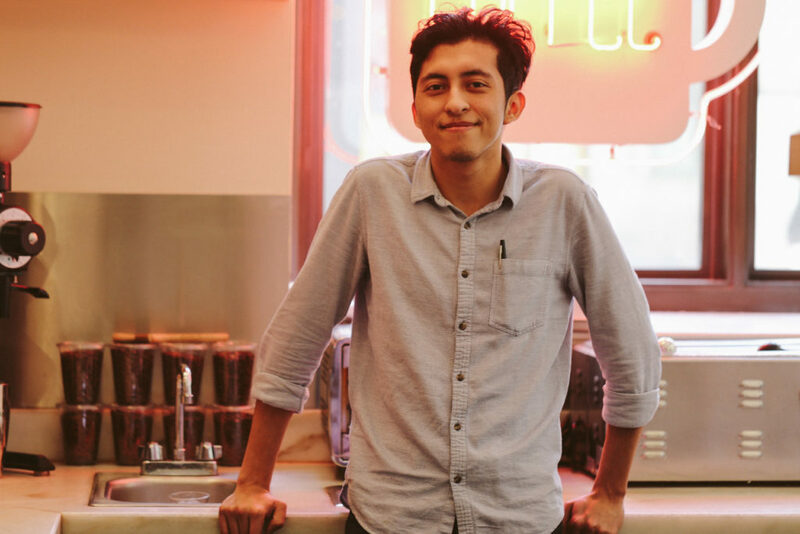 Note: At Full City Rooster, where Michael Wyatt focuses on roasting “only single-origin coffees with distinctive notes,” you can find coffees from Yemen and Laos in a line-up that spans the globe. Tweed, meanwhile, offers numerous regional and cross-regional blends. 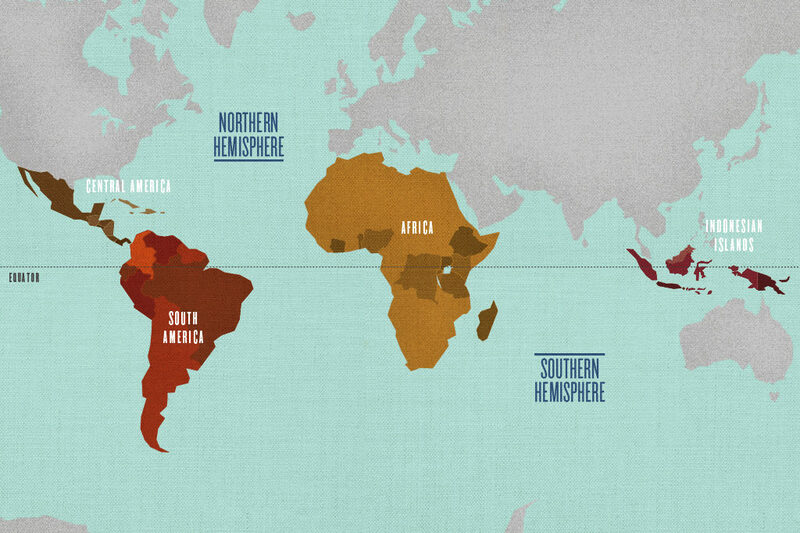 Coffee can be harvested year-round in countries that lie on the equator but elsewhere it is grown seasonally. Coffee roasted when it’s in season is far more radiant in flavor and aroma. Rule of thumb: you want to be drinking South American and African (southern hemisphere) coffees in spring and summer and Central American (northern hemisphere) coffees in late fall and winter. Lucky for us, plenty of shops offer peak-season roasts. 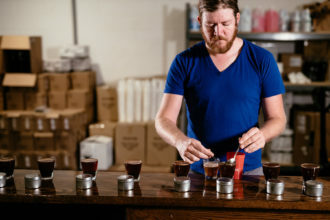 Cultivar, Noble Coyote, and Novel offer monthly seasonal coffee subscriptions. At Davis Street Espresso, seasonal coffees are offered as specials every weekend. This is where you might find, when it’s in season, the elusive Panama Geisha, prized around the world for its complex and unusual flavor profile that is delicate and floral. Whether at home or at a shop, here are some of the most common methods of getting coffee into your cup. 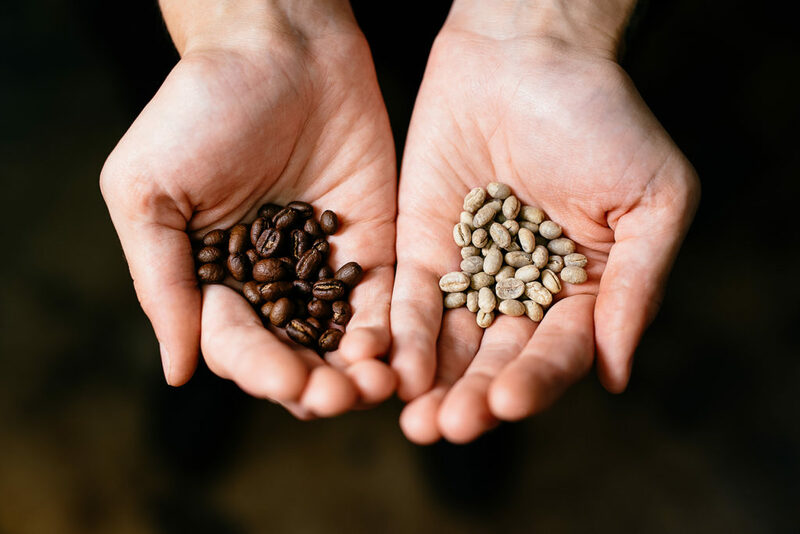 The coffee beans and the water sit together for the entirety of the brewing process, producing a thicker body at the expense of the coffee’s more delicate nuances. This popular immersion brewing method produces an especially dense body from a coarse grind that is typically steeped for about four minutes in the press. 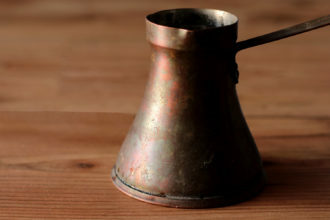 If you want a Turkish coffee in Dallas, your best bet is to do it at home, with your own cezve (often called an Ibrik), a small copper pot with a handle. It requires the finest grind of any brew method and produces a hefty little cup that is enhanced with sugar and cardamom. Filtration involves running hot water over loose coffee and through a filter. Pretty straightforward, right? This pour-over method produces a wonderfully complex cup of joe with little body and great clarity. It allows for greater customization during the process—the speed of your pour, your bean-to-water ratio, grind, and the water temperature all matter. 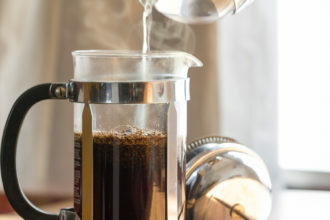 A standard drip is a mainstay in American home coffee. 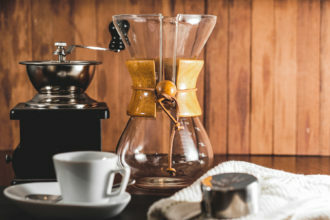 But innovative producers are creating machines that align their quality with that of a manual pour-over; consider the Bonavita Connoisseur or the Technivorm KBGT 741. 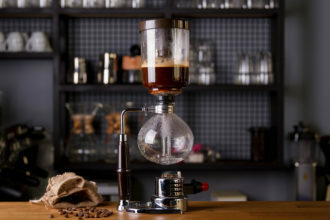 A heat source pushes water from a glass container up through a tube and into a top container where the ground coffee sits. The heat is removed, then the coffee pours back through the filter from the top container into the bottom, resulting in a full-bodied cup. Ascension, Sip Stir, or Davis Street Espresso offer professional exhibitions. 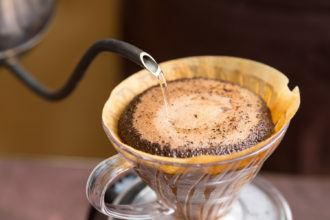 This method involves pressurized hot water being forced through ground coffee to produce a greater viscosity and an intensity of flavor in a small package. An espresso machine requires a hefty expense. 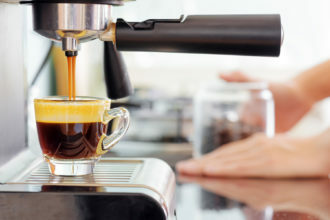 It produces a small amount of coffee with a layer of crema on top and should be robust and not too bitter. It serves as the foundation for lattes, cappuccinos, macchiatos, Americanos, and cortados. This aluminum, three-chambered pot brews much like the siphon. 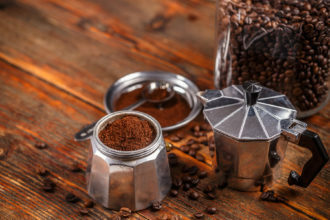 A heat source (typically a stovetop) forces hot water from the bottom container up through a small compartment in the middle, where the finely ground coffee is held, and into the container at the top. In less than 10 minutes, you have a dense, viscous—and very strong—cup of coffee. The act of roasting, at its most basic interpretation, is simply cooking coffee. You need heat to unlock the flavors of the pale “green” coffee bean, which is the sad, pallid color your coffee beans look like prior to them being blasted with heat. The flavor in your cup starts here. The roaster acts as an oven, dispersing heat over the coffee beans until they crack. They’re then removed, cooled, and packaged. 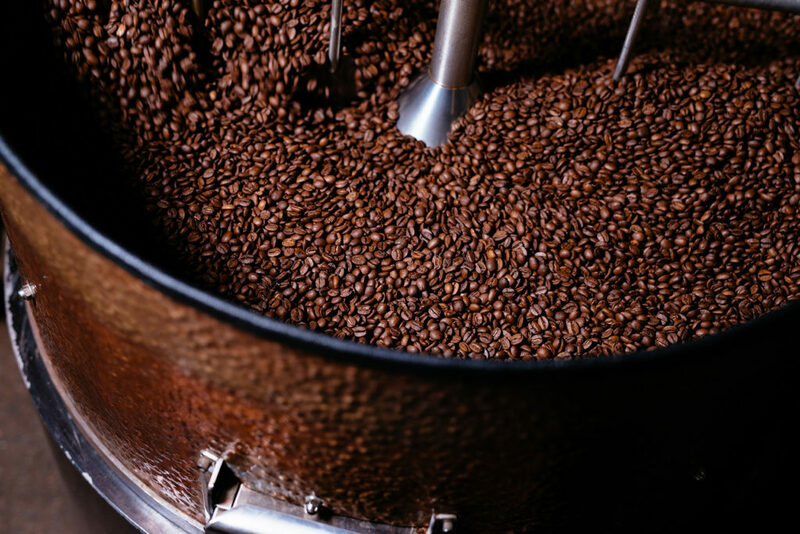 The variations matter: the amount of heat and the roast time determine a dark roast or light roast. It is why you taste deep flavors of chocolate or something more delicate and floral. Lucky for us, Dallas has an assortment of roasters producing coffees across the continuum of flavors. Let’s meet some of them. 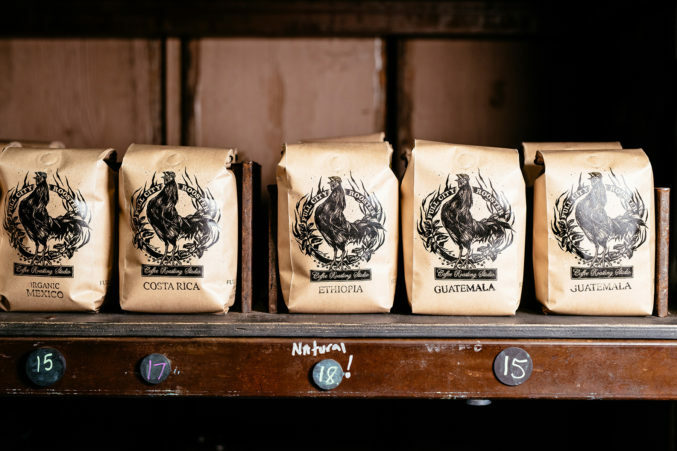 Founded in 2013 by owners Chris and Michael Wyatt, Full City Rooster offers only single origin coffees from its home in The Cedars. As he stands over his roaster during a cook one recent morning, Michael pulls a handful of beans from the sampling handle and slowly breathes in the scent. The smoke billows around his tattooed arms and his eyes are shut; he appears completely transfixed. Those beans come out of a pricey Loring Roaster, which distributes heat to the beans evenly using 80 percent less energy than other roasting machines. Michael Wyatt has roasted beans for 26 years, making him somewhat of a mad scientist in his focus. He and his wife’s dedication to preservation extends to their sourcing: they only use beans certified by the Rainforest Alliance, a nonprofit that verifies that the coffee has been grown sustainably and transparently. The roasts aim to achieve a balance of body, sweetness, and flavor. 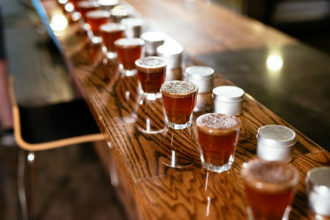 Most of the coffees come out in the medium range, showcasing the flavors of chocolate and caramel notes. Your best bet for finding these comforting coffees is to visit their shop on South Akard. It’s a cozy little space and, if you’re lucky, you might see the Loring in action behind the bar. Kevin Sprague always loved figuring out how things are made; he makes his own pasta and mills his own flour. His then-girlfriend and now wife, Marta, suggested he try roasting coffee and bought him a table top roaster. That was 2003, and he’s been doing it ever since. What started as a hobby grew into an obsession. Together they traveled the country sourcing coffees and meeting with roasters. In 2010 the company they worked for shut its doors, so they decided to roast full time. In the world of coffee, a “coyote” is known as someone who takes advantage of farmers. Kevin and Marta’s goal was the opposite; to support coffee farmers by working through direct trade and eliminate the middleman. So Noble Coyote was born. They began in 2011, at the White Rock Local Market. In the beginning they were roasting anywhere from 30 to 60 pounds per week. They’re now at 1,000 pounds a week, their beans found at specialty grocers throughout the city. Hallelujah. 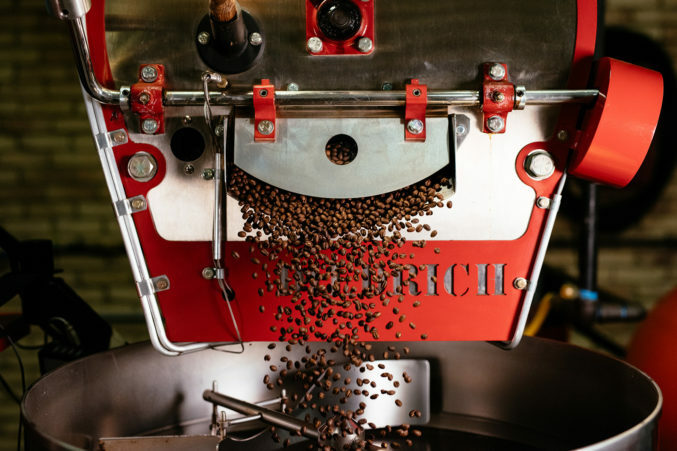 With their Diedrich Roaster, which can complete 18.5 pounds per roast, Noble Coyote recently earned a Good Food Award, putting them in the same company as the nation’s most revered brands. Kevin and Marta use mostly single origin coffees along with a few blends. Those blends typically come out of experimentation. They’re willing to try things, to notice different flavor nuances unique to the beans and then pair them together. They don’t believe in any set route for roasting. Instead, they embrace the diverse possibilities of each bean, which explains why you’ll find so many variations on the shelves. Russell Hayward opened Ascension Coffee on Oak Lawn Avenue in 2012 with no aspirations of roasting. But then came the consistency and quality problems from his suppliers. That first year was filled with these hiccups. Baristas found wild flavor swings from the varied quality and roasts of the supply they were receiving. This caused constant fluctuations in bitterness, acidity, and body; they were continually tweaking their dials to hit their desired profiles. And in some of the blends they received, the beans would come in different sizes and densities, which caused issues when grinding. The baristas felt powerless in controlling consistency. It seemed roasting was, in Hayward’s opinion, the only option to ensure his shop was properly supplied with a reliable source of coffee. In January of 2014 it all came together. He had a Canadian roaster fly down to Dallas to train him and then an Australian friend came to work with him for a month. He spent the next year slowly building up a roasting practice and dialing in Ascension’s first espresso blend, known as Levitate. It took two years. Now that it’s fully operational, Ascension supplies all of its shops with its own coffee. And while some of it moves through wholesale, its main purpose is to be the support system for its three stores. And when Hayward is not overseeing the Design District roastery or the shops, he’s traveling to coffee farms around the world to select his coffees and support direct trade with his farmers. Kevin Betts and Ryan Smith had been friends for a decade, but their love of coffee didn’t blossom for another five years. Smith was experimenting with roasting at home. His guest bedroom was wall-to-wall storage for green coffee. He started selling his roasts from a pop-up coffee cart at the White Rock Market in 2008. Betts, meanwhile, got a barista gig at Roots Coffee in North Richland Hills. The two attacked it from all angles. The process-oriented Betts and the experimental Smith were good fits for a partnership in coffee roasting. While Betts develops consistent roast profiles, Smith searches high and low for the right coffee sources, often traveling to Central and South America for coffee competitions and to visit various farms. For Novel, consistency is paramount, yes, but it’s not always a given from any particular farm. So they keep their options open. Once they have that coffee back home, it’s their customized Giesen roaster that allows them to exact the profiles they so passionately insist upon. Landing a roast curve for Novel—the temperature applied to the coffee inside the roaster across the cook time—involves microscopic measurements that are fantastically nerdy in every way. Novel coffees are available online and in select shops around Dallas. Co-owned by super couple Shannon and Jenni Neffendorf, Oak Cliff Coffee Roasters sold its first batch of roasted beans in March 2008. Three years before that, Shannon was inspired by an espresso he tasted on a trip to Milan. It took him a year to begin roasting coffee himself. Today, Oak Cliff Coffee Roasters is poised as an unstoppable force in Dallas. It roasts upwards of 4,000 pounds per week in the back of Davis Street Espresso, the couple’s no-frills (and no Wi-Fi) coffee shop. They were also the first local roaster to offer coffee in Dallas grocery stores with the date of roasting on the bag. 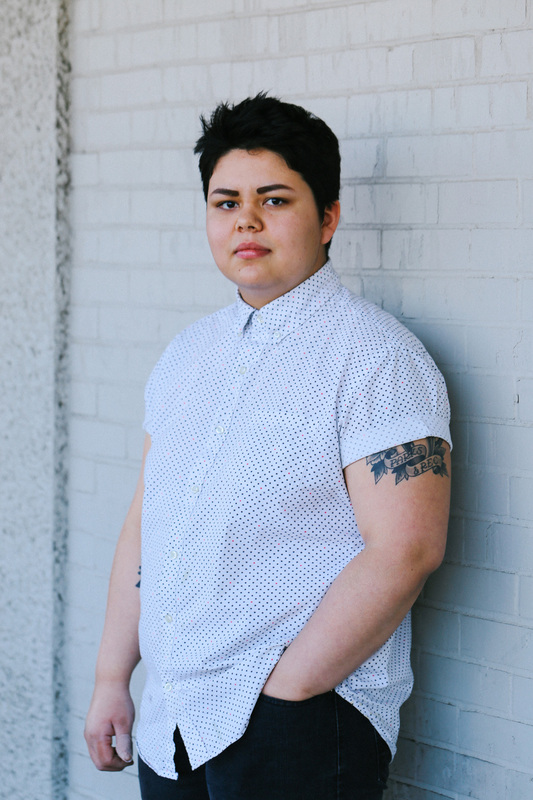 Oak Cliff Coffee also supplies coffee to offices and business (D Magazine being one of them) and is sold in espresso form from the sidecar of a motorcycle, lovingly named Motokofe, their way of bringing their best espresso to parties and events around town. They also have a shop next door to Davis Street Espresso strictly devoted to selling coffee brewing supplies. The Neffendorfs also prides themselves on being good stewards of the environment, whether it’s helping farmers they source from improve their processes or maintaining transparent transaction practices with all they do business with. They even bring their four children along on sourcing trips. It’s certainly not difficult to find their coffee in this city, so if you haven’t had any, you’re not trying hard enough. Jonathan Aldrich, lead roaster at Tweed Coffee Roasters, started his coffee journey at White Rock Coffee in 2007. But he met his future colleague, Sean Henry, after moving to Austin. 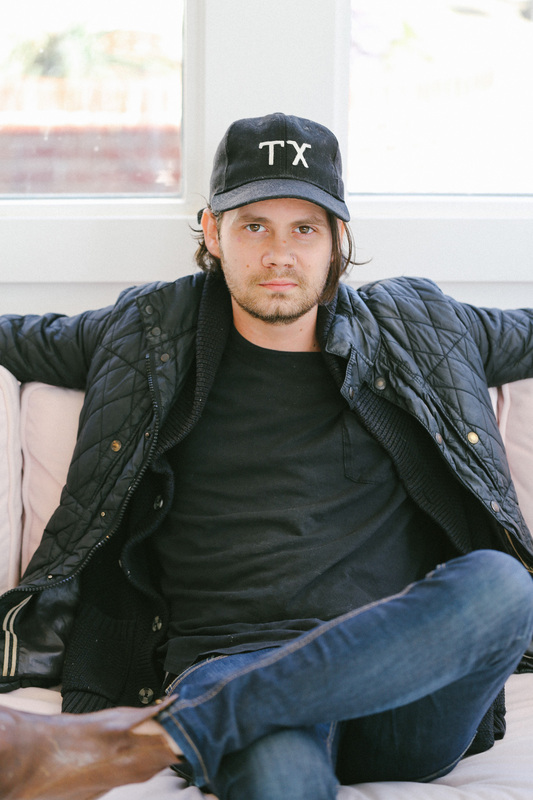 Henry is the founder of Austin’s Houndstooth Coffee, which has since opened three stores in the Dallas area. 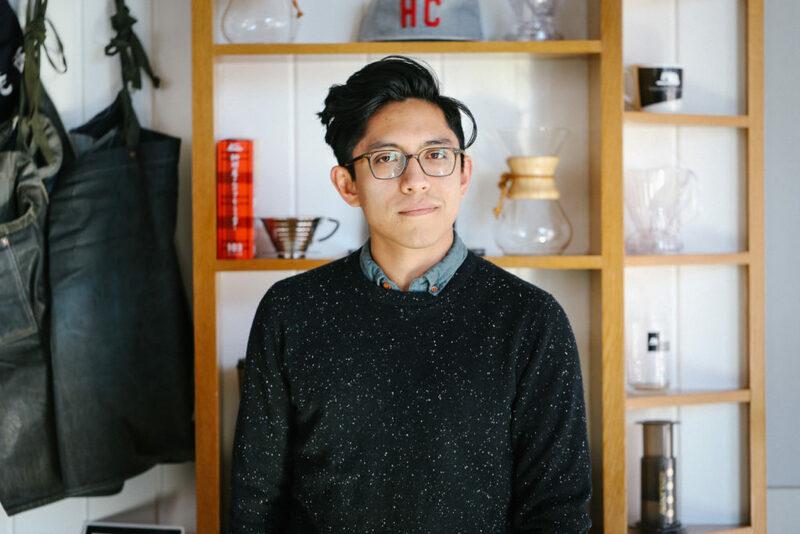 Houndstooth became one of the first shops to carry more than one roaster, but Henry soon decided he wanted to do it his own way. He brought on Aldrich as lead roaster and launched Tweed in 2013. The most important aspect of their coffee is balance. Tweed makes great effort to produce roasts that balance acidity and body, sweet and savory, in order for their coffee to be attractive to all types of palates. From their 15 kilogram Giesen roaster, they roast 2,000 pounds per week. Tweed is sold entirely in Texas—40 percent of their market is Austin and another 40 percent is Dallas. The rest goes to San Antonio, Midland, and Abilene. But you won’t easily find one of their rotating single origin or three-blended coffees in retail stores. Tweed is mostly sold in shops and restaurants, but their coffees are available online. It’s also the only coffee sold at Houndstooth. Drink up. Tucked away in a nondescript warehouse a block from their coffee shop in East Dallas, Cultivar roasts on a Probat, a brand that has been in the business of coffee for 150 years and whose products are found in the roasteries of big names like Intelligentsia and Counter Culture. Rugged and deliciously unkempt, Jonathan Meadows and Nathan Shelton, the fellas who founded Cultivar in 2009, are tuned into the science of roasting in an exciting balance of ease and attention. The two of them bring a wealth of experience and devotion that is impossible to miss in their coffee. 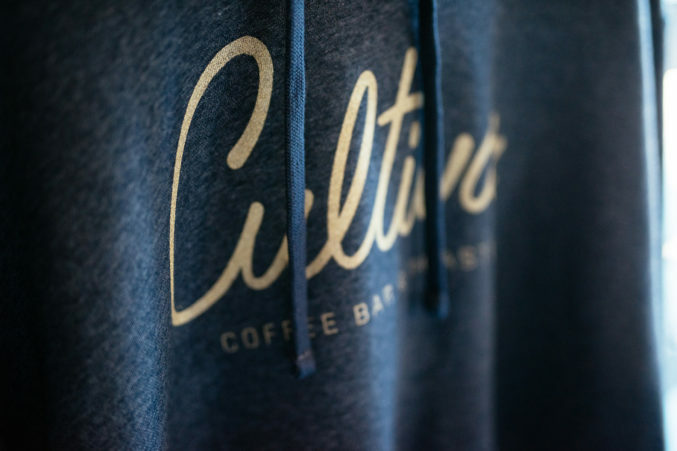 Cultivar focuses on mostly single origin coffees and the beans are available in several retail locations in Dallas. You should also taste directly from the source at their shop inside Goodfriend Package Store. (You can also find its coffees in Denton’s Hypnotic Donuts). Cultivar leans toward washed process coffees that they rotate based on seasonality. One of their signature roasts is their Finca Malcara from El Salvador, which they’ve offered for the last five years. You’ll taste notes of marzipan and sweet almond as well as a tart acidity, much like a green apple. Get some. Corrado Palmieri, owner of the Italian hot-spot café in the Dallas Farmers Market that bears his name, is the city’s newest roaster. In December, Palmieri unveiled a project he had been working on for over a year. The man behind this place of morning loiterings, who perfected his pastries by returning to his hometown of Lecce in Southern Italy to study—those custard-filled pasticciotto are specific to his hometown—and whose Piemontese hazelnut and Sicilian pistachio gelato rival any in Italy, had taken the next logical step and turned to roasting his own coffee. For this Italian-born entrepreneur, the aim had always been to control the process and make his business a place of artisanry from top to bottom. Switching from the custom espresso blend made for him by a roaster in Puglia, Italy, he began his apprenticeship. “I found a small, local roaster near Milan,” he says. “I asked him if he could teach me.” From this seasoned roaster, he learned the nuances and technical points for Italian-style espresso roasts. 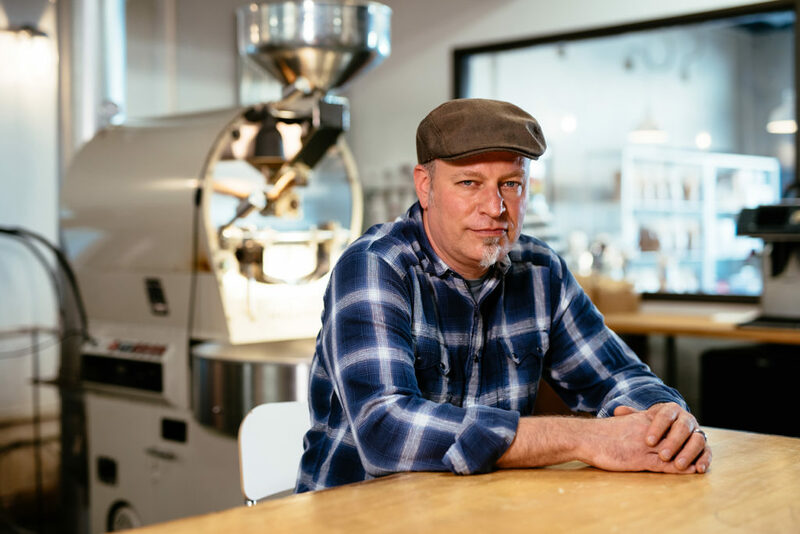 Then Palmieri turned to the United States, finding two small-batch, craft roasters—one in Virginia, one in Illinois—willing to teach him the same for American-style drip coffee roasts, knowing that his clientele would expect both. He rented commercial space in North Dallas to house the roaster that would be the engine of the tricky transformation. In August of last year, Palmieri began roasting in small test-batches, zeroing in on the beans that suited him. His goal: to offer an experience of the full spectrum of coffee processes and roasts via a rotating list of single-origin beans. At the counter are dark, medium, and light roasts; washed, pulped natural, and natural processes are represented by his single-origin beans from Ethiopia, Guatemala, Costa Rica, Brazil, and Peru. Every several days, the single-origin on offer rotates (all are available as pour-overs). Meanwhile, the espresso is a blend of Arabicas. The final piece is in place. 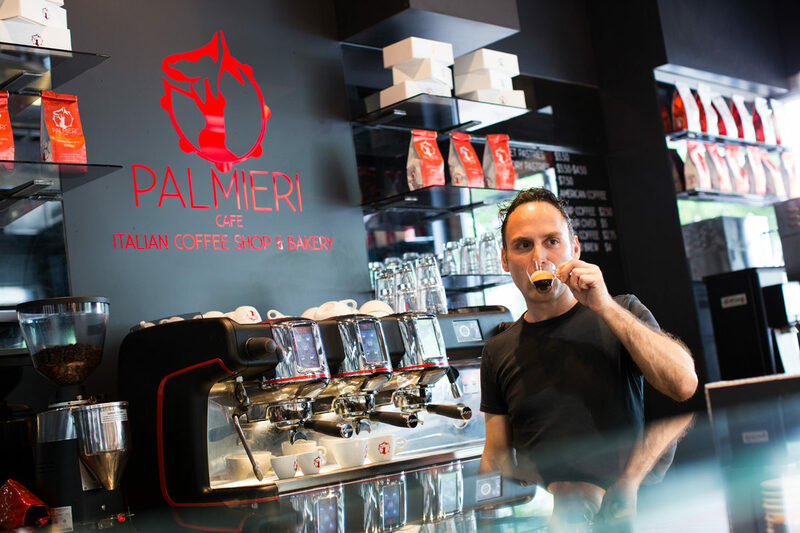 Palmieri’s hand is behind everything at the buzzing little spot, from buttery pastry crumb to the fragrance of coffee. The people behind the bar are as important as the beans you’re sipping. And too often they’re overlooked. Get to know the men and women responsible for fueling you up with their best coffee. I’ve been a barista for nearly 10 years. Where was your first barista job? My first barista job was at Common Grounds in Waco, Texas during undergrad. Do you remember the first time you ever drank coffee? I don’t remember my first cup of coffee. What is your favorite coffee beverage to drink? Depends, but usually a cortado. It allows the perfect balance to taste the proper tasting notes of the espresso as well as the creaminess of lightly steamed milk. Other favorites: cold brew or just a cup of drip coffee. It’s straight to the point and doesn’t need anything to hide behind to get your caffeine directly into your bloodstream. What is your favorite coffee beverage to make? I love making custom drinks for customers based on their preferred tastes/mood/etc. At the end of the day, it’s not about ‘coffee’ it’s about the experience. What is the weirdest thing you’ve ever made for a customer? While working at Common Grounds, a customer had ordered a Frappuccino and requested that a vanilla cupcake be blended inside and extra whipped cream be added on top. I’ve been a barista for a year and seven months. It was actually here at the [Joule] Hotel at CBD Provisions. Yeah, my mom always made coffee and she would serve it with a peanut butter sandwich for me. My mom’s coffee. It’s special to me because it brings the family together. Family means a lot to me, so having coffee as a way of connecting, it gives it more value. When all of the family sits together—drinking my mom’s coffee—we are all relaxed, bonding and celebrating another day of life. It would be a cortado; small but strong. Cold brew with steamed milk, and add a shot. I have been a barista for four years. I first worked at Palace Coffee Co. in Canyon, Texas. My grandma made my mom give me coffee in my sippy cup, so no, but I do remember my first cup of specialty coffee. It was an Ethiopian from Temple out of Sacramento and it was amazing. Nothing is ever that out of the ordinary, because people like what they like, but if I had to pick one weird thing it would be a cappuccino with almond milk and foam of nonfat milk on top. I started working for Houndstooth almost three years ago. Time flies! I worked at Opening Bell for a bit. I was living in Southside at the time, and had the easiest commute I will probably ever have. I wish I did! My parents drank coffee in the morning and after dinner, so I smelled it brewing all the time. I can never smell coffee anymore, though. Espresso is so stylized, so I really enjoy serving it. We make such great coffee all the time, and I really enjoy sharing it with guests. Also, cappuccinos to stay are fun for the latte art. Probably this seasonal drink we did two years ago. It was called “That’s My Jam.” It was an espresso-based drink that we shook with lemon simple syrup, raspberry jam ice cubes, and topped it off with tonic water. It was funky and tasted great. Then, when you had finished, you could come back and get some Topo Chico in your glass. It was awesome. Coming up on four years. I remember the first time I realized I loved it. I was 13, it was just a cup of black coffee I had with my grandpa. My favorite drink would have to be Kossa Geshe Ethiopian coffee as a shot of espresso. Hmm, weirdest thing I’ve made for a customer, that’s a tough one. I’m sure there’s a weirder drink but the only thing that comes to mind right at this moment would be when a customer ordered a latte and then asked for room for milk. She then added cold milk on top of the steamed milk. Local coffee isn’t limited to mugs and espresso cups anymore. Dallas chefs are incorporating beans into decadent confections, creamy gravies, and savory entrées. Here are a few unexpected—and delicious—ways to get your caffeine fix. Coffee and tiramisu macaroons using Noble Coyote Coffee. 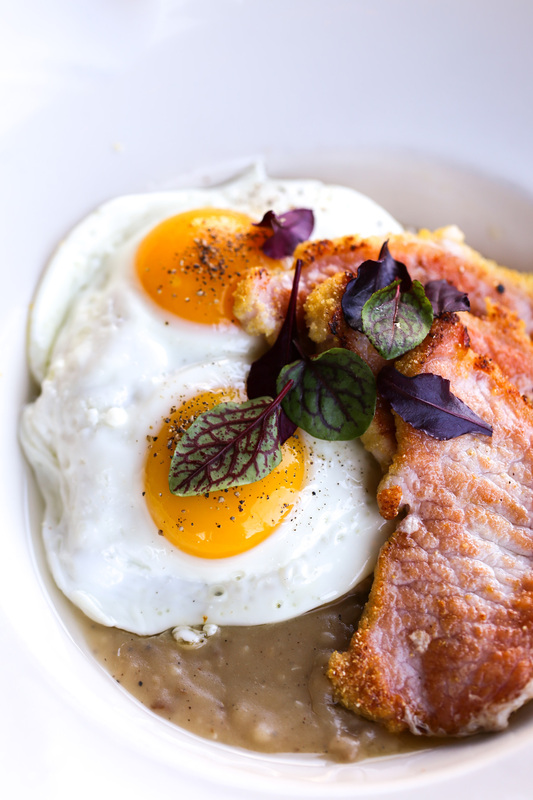 Country Breakfast: House-cured peameal bacon, pecan horseradish cheddar grits, two fried eggs, and redeye gravy made using chicken stock, black pepper, cider vinegar, flour, and Ascension coffee. Vice Cake: Made with chocolate and stout beer then lightly brushed with tobacco-infused syrup. 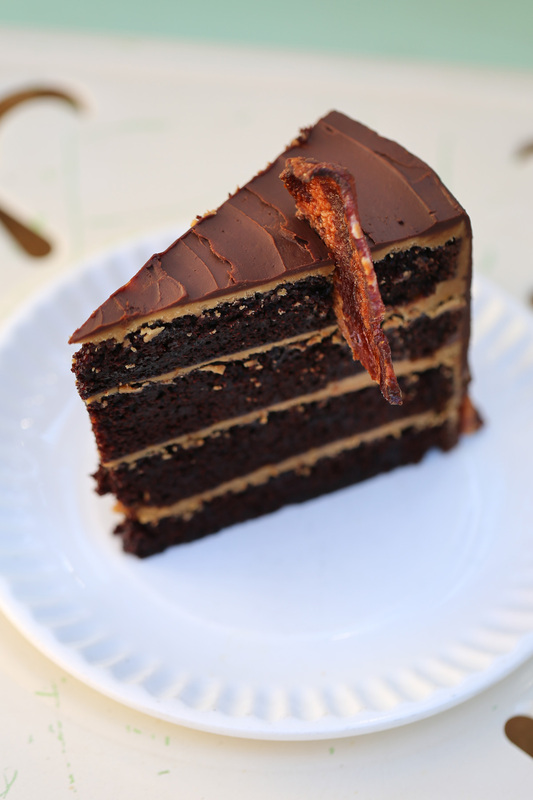 Layered with a coffee buttercream made from Eiland Coffee Roaster’s beans and topped with chocolate ganache and a piece of candied bacon. 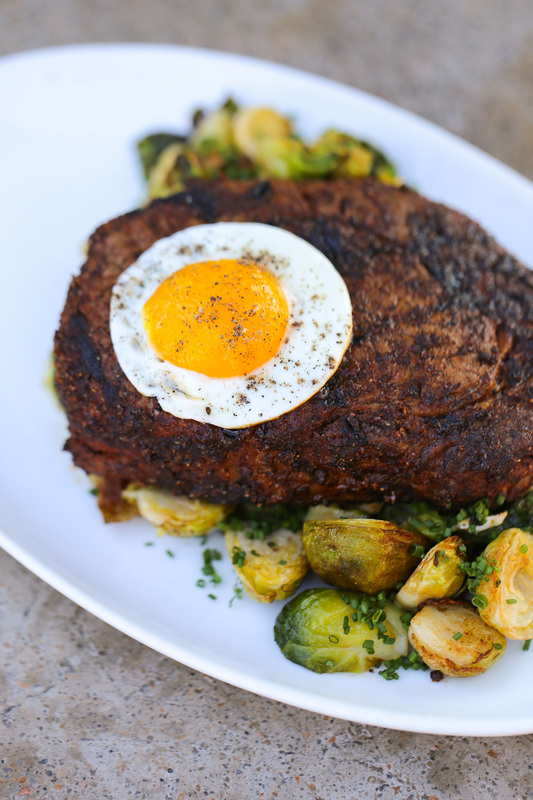 Crusted Delmonico: Avoca coffee-crusted ribeye with crispy Brussels sprouts, an over-easy egg from Pachi Pachi Farms, and horseradish-shallot coconut butter. 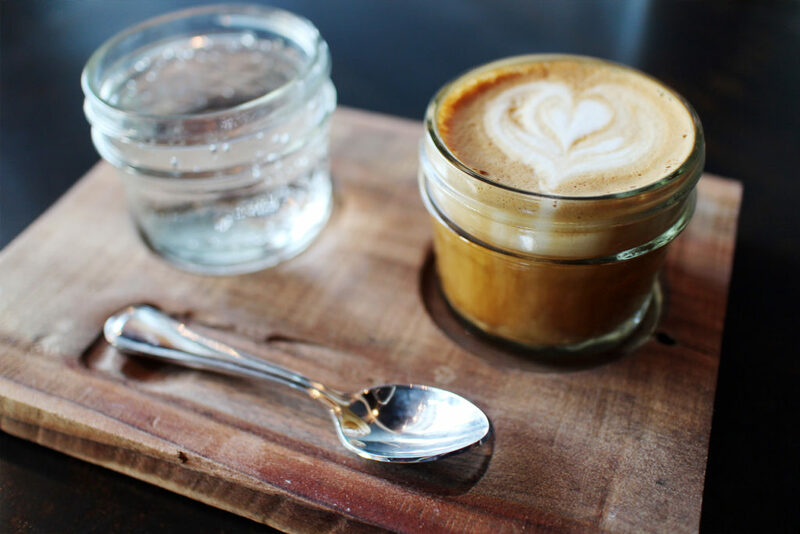 Whether you’re looking to dress up for a cortado, put your head down and get to work, or catch up with a friend over a pour-over, there is a Dallas coffee shop to meet your needs. Let us guide you to the coffeehouse that best fits your needs. Hang-out and catch-up spots abound at the home of Oak Cliff Coffee Roasters, from the converted bus out back to the tucked-away wooden booths inside and seats at the counter. Friendly banter flows, just watch for kids running around, clutching chocolate chip cookies. And leave your laptop at home—there’s no Wi-Fi anyway. Light spills in on both sides of this coffee shop with floor-to-ceiling windows that look out onto Jefferson Boulevard. The local honey latte and an almond croissant can fuel a long catch-up. The weathered old house with a chill vibe and a front porch boasts a tiny warren of rooms with nooks where you can share a table for a game of chess or sink into a couch. Upstairs and downstairs share a funky vibe, as Murray Street anchors a Deep Ellum corner near the Undermain Theater. Two levels provide room for lounging, and the vast table upstairs is ideal for board games. Meet-Up language groups and clusters of friends fill this neighborhood spot. Snag flaky empanadas, acai smoothies, and the comfy window seat that’s perfect for people-watching on Bishop. On weekends especially, hang out around the counter where Michael Wyatt pulls drinks that come in pretty handmade bowls made by a local potter. The roll-down doors are open, and the outdoor barstool-height communal table is a spot for catching up. 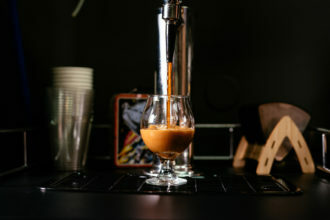 In its Deep Ellum haunt, Drugstore Cowboy may be under the radar when the sun is up, but it’s got serious coffee (Counter Culture out of Durham, North Carolina). During the day, it’s a surprisingly quiet spot to catch up with friends who want to talk tattoos, music, or David Foster Wallace over an Ethiopian natural-process and a really good croissant. 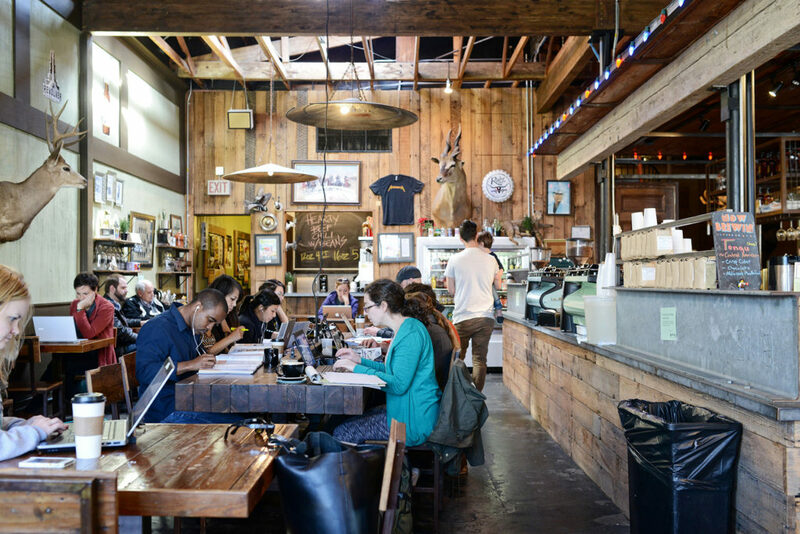 When the owners of Noble Coyote finally landed a roastery they could open mornings and afternoons as a store front, it became a spot to sit at the communal table and read or work, while a stream of regulars come and go at the tranquil Exposition Park spot. 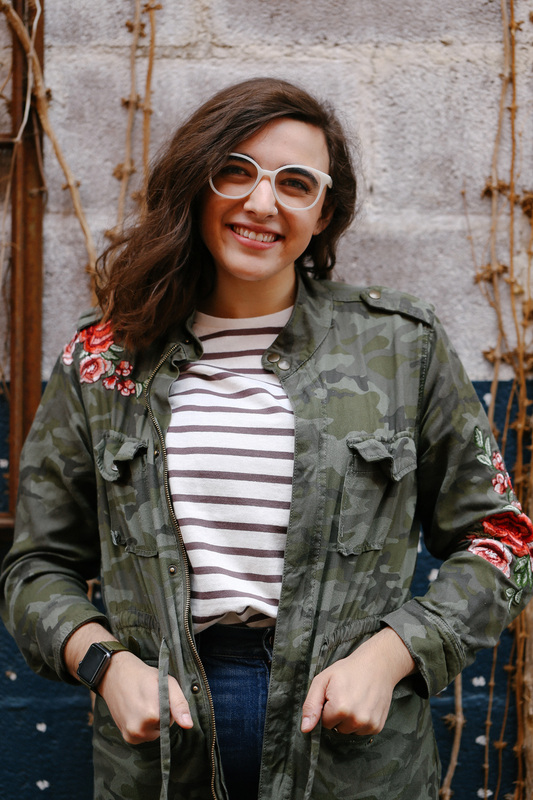 This Lower Greenville coffee den is often busy, but the chatter of entrepreneurial go-getters can be inspiring and—somehow—not distracting. Along the community table you’ll find a welcome place to rub elbows with others in a heads-down, get-your-business-going fashion. Fiction coffee feels like the mature kid at the party. Anointed in dark tones and under its new name, Fiction, it’s suited perfectly for diving into some caffeine and project time. The beautiful—and, in the case of the Sylvan 30 location, award-winning—design here lends itself well to settling into your own space without interruption. The community of ambition is alive and well. Be sure to bring a fully charged laptop, because indoor electrical sockets are scarce at both the Sylvan 30 and Henderson Avenue outposts. Tucked away in The Cedars, Opening Bell offers plenty of space for a secluded respite when you want to be left alone to get some work done and find the zone. The private upstairs lounge area is the perfect haven for getting your projects going and tapping into a no-distractions workflow. The large space and living room feel make it almost impossible not to find a place for peaceful attention and focus. Work it. 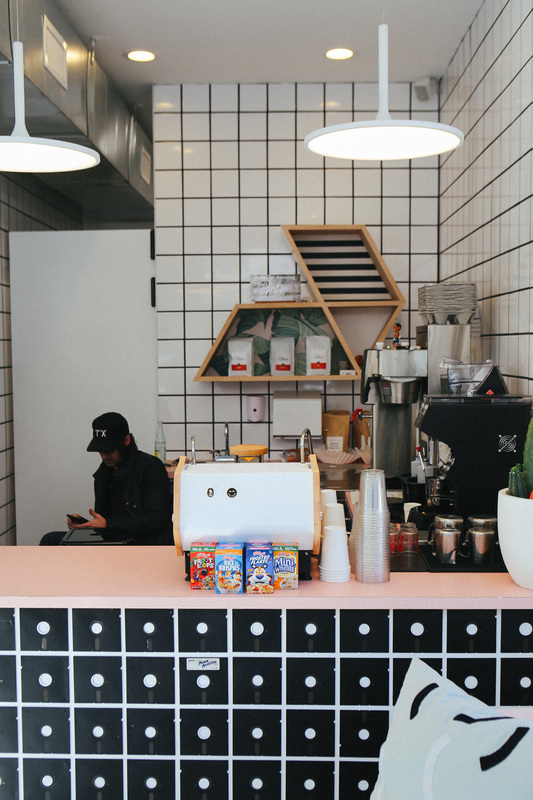 This 300-square-foot café, which feels more like an interactive art instillation than a coffee shop, lends itself to Instagrams. Order a frothy, pink, white chocolate and raspberry latte covered in multi-colored marshmallows, snap it, and let the whole internet feast their eyes. Order a cappuccino from Weekend Coffee then find a seat in the lobby of the Joule hotel in downtown Dallas. From your vantage point, you’ll watch chicly-dressed hotel guests and downtown dwellers pass by. Chances are, they’re looking back at you, too. Fuel your day at this full-service vintage motorcycle shop and coffee bar. We recommend the mushroom toast: a thick slice of sourdough buried under a mound of sautéed crimini, shiitake, and shimeji mushrooms. You’ll want to add a poached egg. 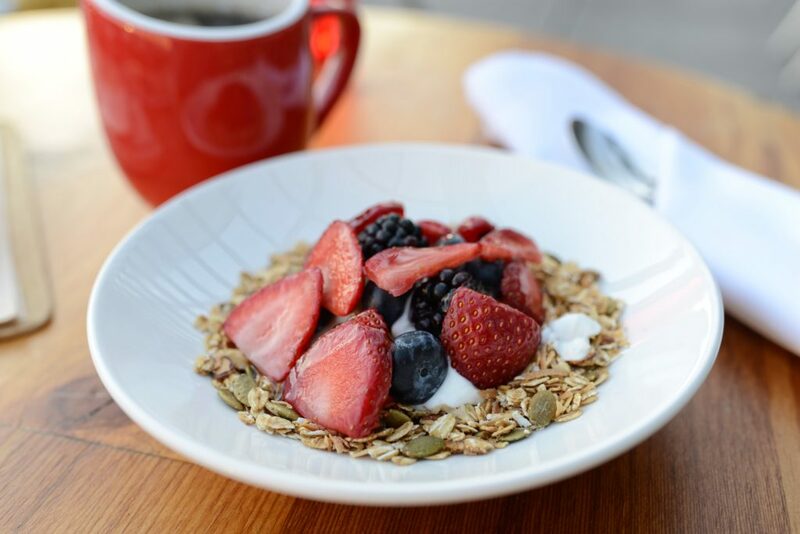 Brunch is a main attraction at this café. The farm-to-table menu boasts a croque madame eggs Benedict, chia seed pudding, avocado toast, and a selection of omelets. Expect a wait on the weekends, or choose its North Dallas location instead. 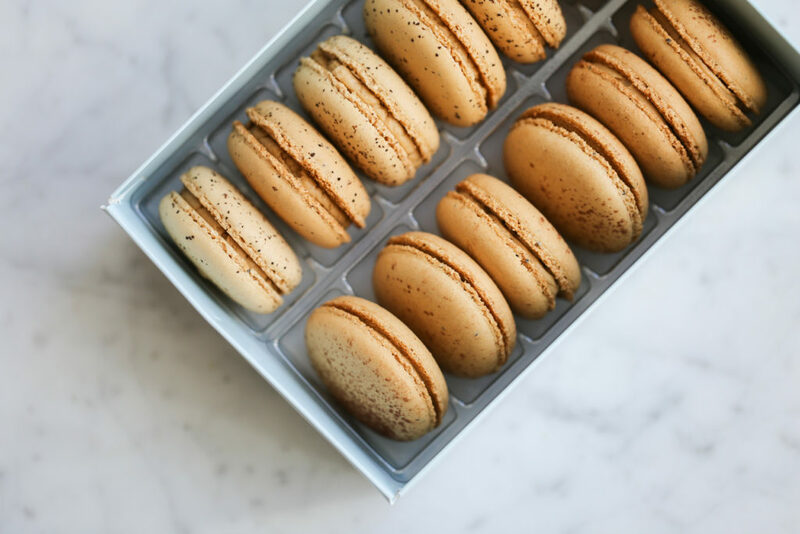 Grace Koo’s bakery in Old Koreatown replicates a modern, hip Seoul coffee shop, with local roaster Eiland coffee flowing from her Korean-made cold-brew machine, exquisite cakes, and a host of scrumptious Korean bakery treats that reflect Koo’s professional pastry training. Attention to detail goes into Corrado Palmieri’s house-roasted coffee, house-made gelati, and savory and sweet pastries, like the cream-filled pasticiotto that’s the specialty of his hometown of Lecce in Southern Italy. This coffee shop and restaurant specializes in toast (there are more than 13 varieties to choose from), but the menu doesn’t stop there. Breakfast is served all day, there are 10 sandwiches to choose from, a selection of salads, and weekend brunch. Order the Sweet Dreams Are Made of Cheese: a grilled cheese oozing with melted fontina, cheddar, and Oaxaca and pair it with a nitro cold brew coffee. Pull up a stool at the bar of this bookstore and coffee shop and nosh on an array of specialty toasts topped with turkey, honey cream cheese, tuna, and more.